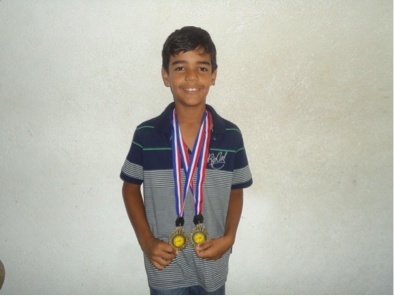 Damien Laporte of class 6H has made the school and Seychelles proud once again. He won two gold medals at the recent KIA Motors African Junior Tennis Competition held here from 20th to 23rd September 2012. After winning the doubles final on the Friday, Damien came back on Sunday to outplay the number one player from Reunion 6-2 and an impressive 6-0 in the singles final. 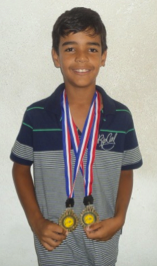 He is now ranked as the number one player for the Under-10 category in the Indian Ocean region.